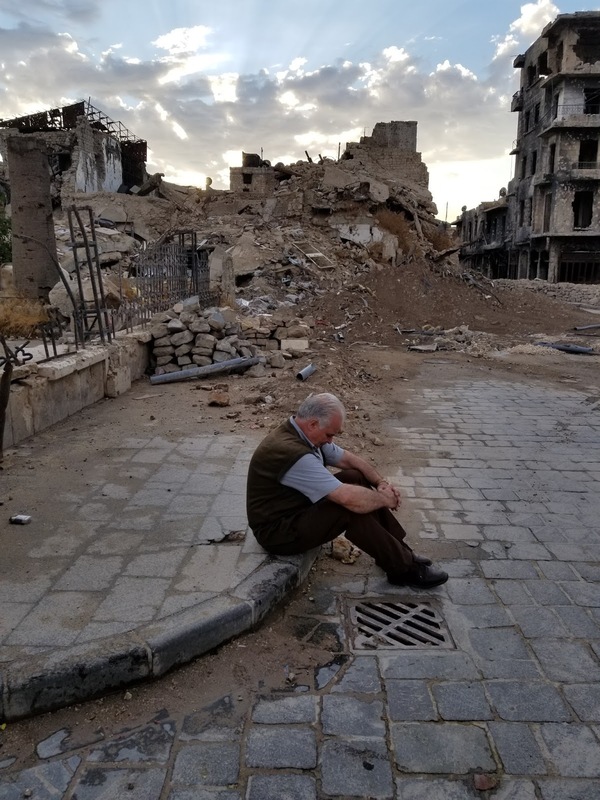 As I traveled across Syria in early October, 2017, I came across a myriad of stories, sights, experiences, people, and emotions that I had hoped to convey to my audience when I returned home. Although I spent days talking to Syrians of all backgrounds, interviewing them, and photographing them, I soon realized that there would be no way of accurately depicting what I saw in country either in words or in photographs. The overwhelming hospitality and welcoming nature of the people I met while in Syria, I will never forget. But for someone who is merely reading the depiction of it, words are just that – words. I have been covering the Syrian crisis since the very beginning and even after six years of writing, there is no way to describe the warmth of the people who, suffering under one of the worst humanitarian catastrophes of the 21st Century, invited us in for tea and coffee, refused to let us pay for food, and who gave us gifts as if they were the ones who were honored by our time there. I can never adequately describe what it is like to stare at the moon in the sky as it shines over the central park in Aleppo, the stars in Damascus, or constant sound of bombs and mortars falling among people who have lost so much already. Even the photos I brought home cannot adequately depict the children, who have no memories of anything except war, innocent but aged before their time, both molded by staying free of the dehumanizing propaganda of Western media and, at the same time, formed by loss of those closest to them far before their times. These are the prized little targets of America’s terrorists, hunted for years but thankfully still brightening Syria’s homes, schools, and streets. Despite the inadequacy of pictures and words , they are betting that remaining silent. As I traveled through East Aleppo, I was confronted with devastation as far as the eye could see. Even the old mosque had been ransacked and taken apart by America's terrorists ironically operating under the guise of Islam. Our friend in the picture below had spent his life promoting and showcasing Syria's rich archeology and historical sites partly for a career and partly because he had loved it since he was a child. He hadn't been to this site since the war began and, when we arrived, he was greeted by the immense destruction of one of the sites he'd loved so much and toured so often that he was visibly overwhelmed. "I used to show Syria's history and its beauty," he said. "Now, I show it's destruction." I snapped this picture when he wasn't looking, when he was processing what he'd just seen. This is not a man who lost a football game or an election. This is a photograph of a man overtaken with sorrow for his country. For his sake and for the sake of countless others, this war has to come to an end soon. I'm tired of looking at pictures like these.